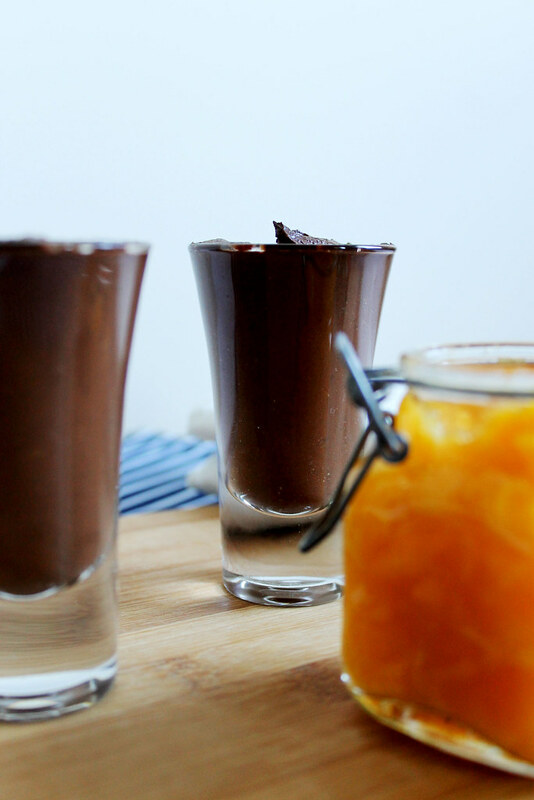 This dairy free chocolate mousse is a real treat! If you’re looking for a relatively guilt free yet delicious dessert that everyone will love then look no further. I buy avocados all the time but I tend to try and eat them before they’ve ripened or I let them go too far to chop into a salad or slice with my breakfast. It’s almost inevitable that they end up in a smoothie or the bin. Not any longer. This recipe will be the saviour of every over ripened avocado you’ll ever have. Note: if you’re not quite sure how to tell if your avocado is ripe check out this guide from theKitchn. 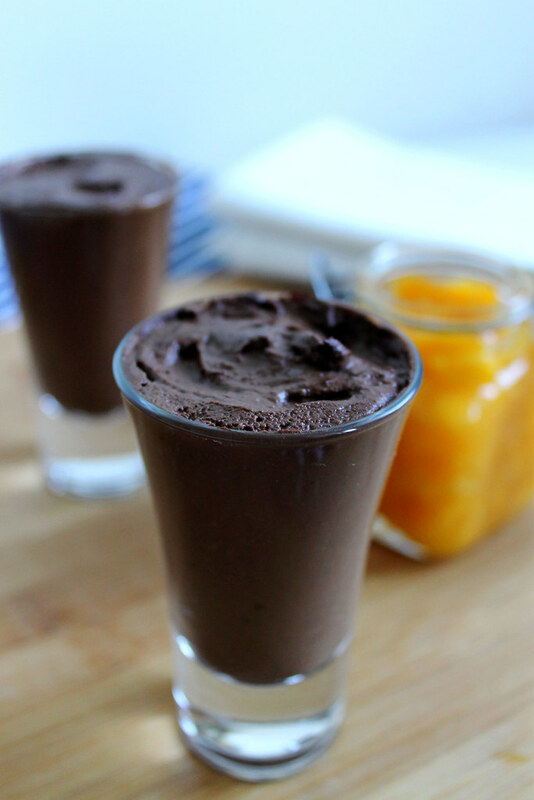 This delicious, healthy dairy free chocolate mousse takes just minutes to prepare. Chill for 3 hours or so in the fridge before serving (or put in the freezer for 15-20 minutes if you’re as impatient as I am!) To be honest, it tastes just fine if you eat it straight out of the food processor. Basically I’m saying if you need a chocolate hit but you don’t want the sugar rush that comes with it take these ingredients, a food processor and your craving can be sorted in less than 10 minutes. Now if only it was possible to purchase perfectly ripened avocados anywhere near where I live I would never need to eat a bar of chocolate again to satisfy that sweet tooth. 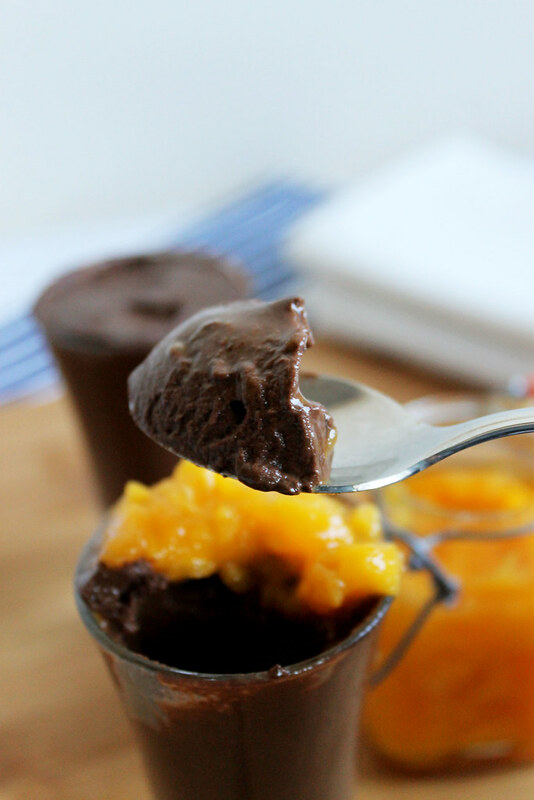 This mousse is not too sweet, the extra dark chocolate and minimal added sweeteners leave you with a decadent, slightly bitter yet creamy mousse. To serve I chopped a ripe mango and added some grated fresh ginger and lime juice. 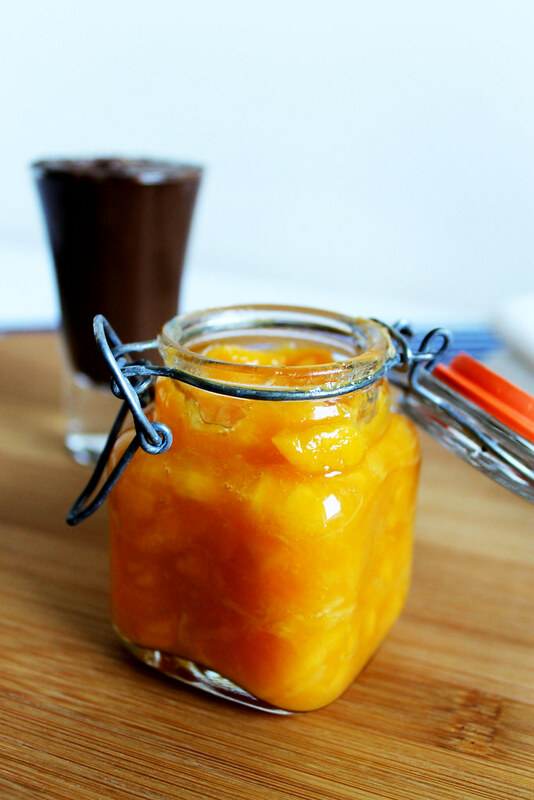 The sweetness of the mango and the tartness of the lime complement the mousse perfectly. The Mousse recipe is this one here on the Food Network. I cut down the quantity to make this a serving for 2 and changed the garnish though the original raspberries would taste amazing with this too! Chop the chocolate and melt it either over a bowl of hot water or in the microwave. Mine took about a minute and thirty seconds in the microwave, just be sure to keep an eye on it so that it doesn’t burn. Meanwhile peel and core the avocado and place it in the food processor with the cocoa powder, almond milk, maple syrup, vanilla and sea salt. Add the chocolate once melted and process for a couple of minutes until you have a smooth mousse like texture. Scrape down the sides intermittently so that all of the ingredients are well combined. Spoon the mixture into your serving glasses and pop in the fridge where they will keep nicely for up to a day. Just before serving, peel and finely dice the mango. Squeeze the juice of half a lime into the mix and then add the grated ginger. Mix well and spoon over the top of the mousse. That looks so rich and dark, perfect!